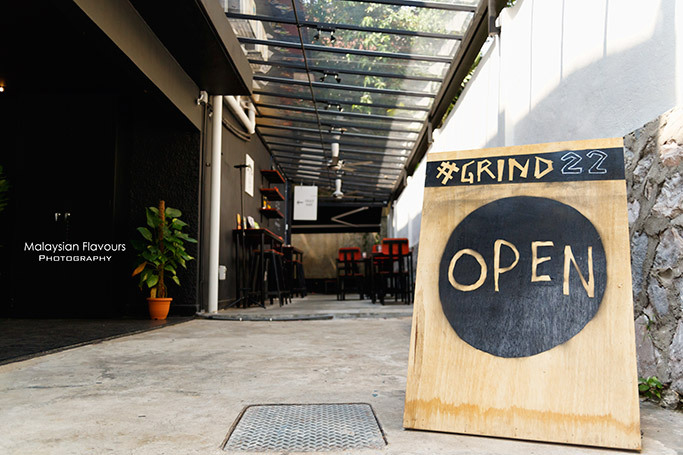 Grind 22 Café at Jalan Maarof, Bangsar KL is believed to be one of the most celebrated newly opened KL cafés in the first quarter of 2015. Grind22 is prides for their coffee, but with the tagline” coffee & everything nice”, guests can expect more than that, such as puff, cakes and some simple desserts to be equally good. 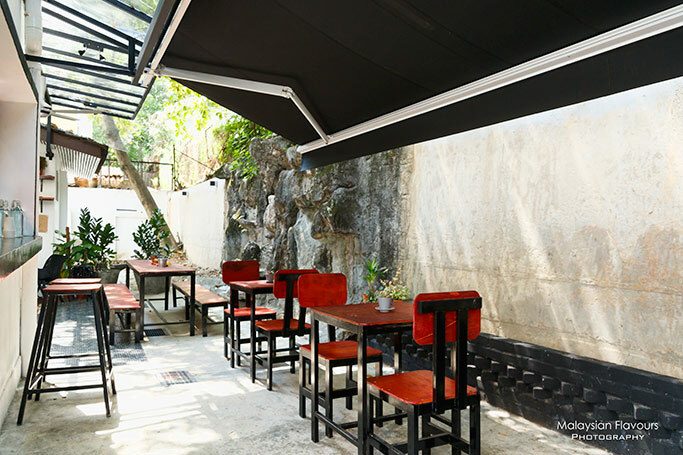 Situated right beside Twenty2 boutique, Grind 22 can be considered as a hidden gem. But the location doesn’t seem to be the downside for this coffee place, as the café is doing well since its opening, with steady amount of customers flow in everyday. Imagine the barista is still pouring coffee for customers who visited Grind 22 at 1am morning during this CNY. 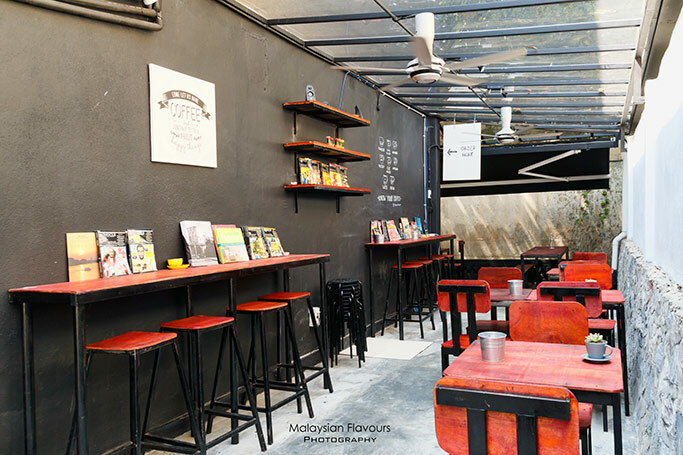 Barista of Grind 22, Mr. Firdaus told us that the café is normally packed from 3pm onwards, till midnight. We were happy to find the place rather empty when we visited at 11 morning, as we prefer quiet coffee hang out place. 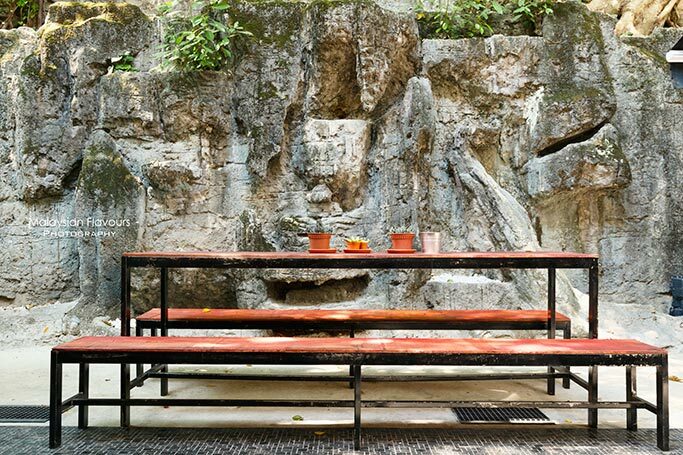 Just, due to their open-air, al-fresco concept, it can be rather hot by noon. Suggest to drop by during evening or night, it should be more breezy and enjoyable. We love how Grind 22 remains the beauty nature as part of the “décor”, adds with wooden elements for more raw & rustic touch. We chuckled as we listening to the “squirrels attack” story at Grind 22, where these small animals throwing fruits down like rain drops. Hence the management extended the shelter, rearranged the furniture to avoid similar incident to happen again. 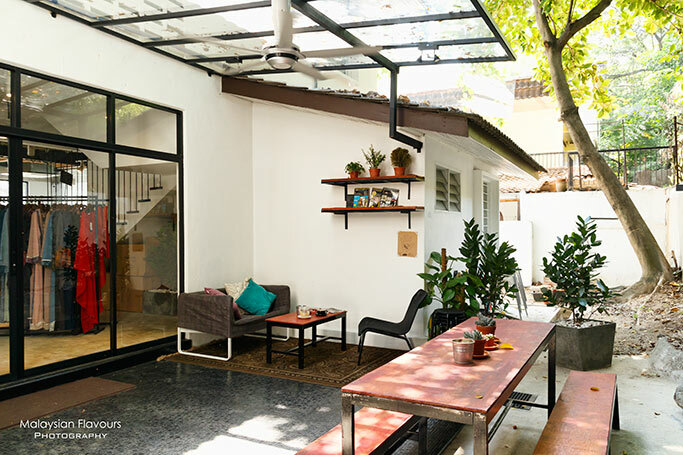 Currently, Grind 22 café Bangsar serves only coffee, cakes and puff. They plan to bring in healthy lunch box, sandwiches and toast in near future. However, due to the space limit, popular breakfast and brunch selections such as American BIG Breakfast, spaghetti, pancakes may or may not appear in the café’s future menu list. Apart from coffee, frozen cheesecake from Purple Monkey is the must-try too. Glad that this online bakery which specializes in frozen cheesecake and other desserts for years has finally ventured into few coffee places in KL and Klang Valley, allowing customers to sample their amazing frozen cheesecake in mini size. Most customers love them, and we were told that these frozen cheese cakes are selling like hotcakes in Grind 22, empty 8 to 9 trays daily. 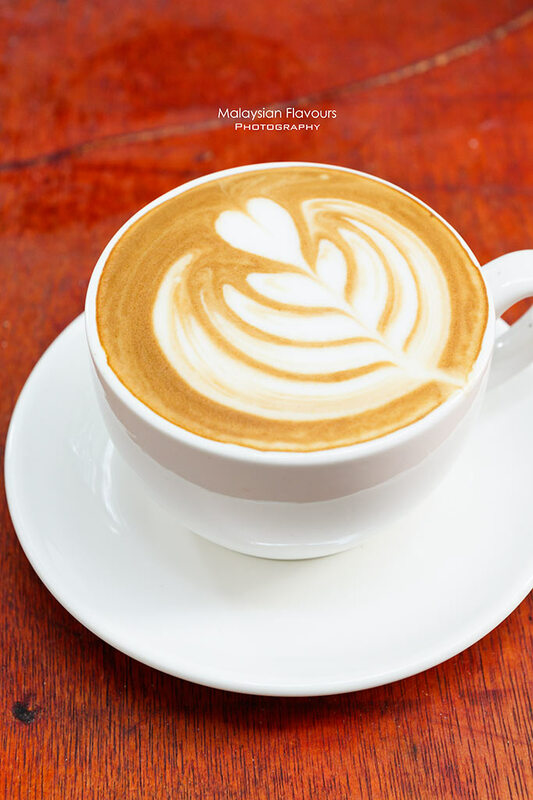 Coffee focuses on choices such as latte, flat white, americano, cappuccino, finished with latte art. 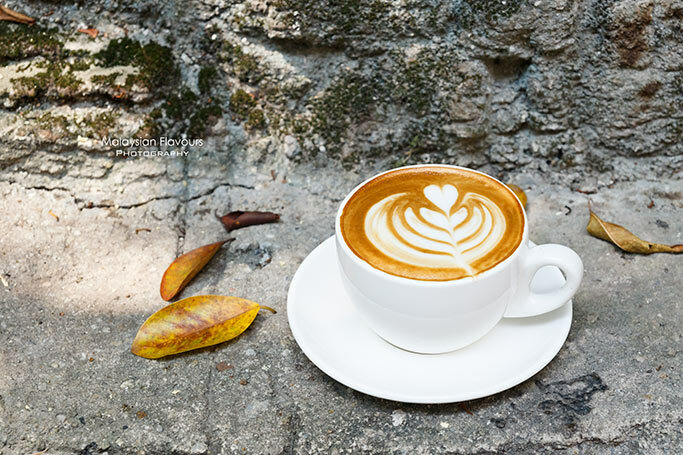 No trace of syrup-added coffee such as rose latte, caramel latte, etc., as Grind 22 aims to deliver the best essence and flavour of coffee to each customers. Lots of effort is put in by Grind 22 Café in selecting and roasting their coffee beans, thanks to the barista’s experience in the coffee roasting industry. Currently, they are using houseblend of Kenya, Ethopia and Sumatra coffee beans, medium-roasted by roastery in Shah Alam. Grind 22 has promotions now and then. We heard that coffee was just RM5 on their first day of opening. 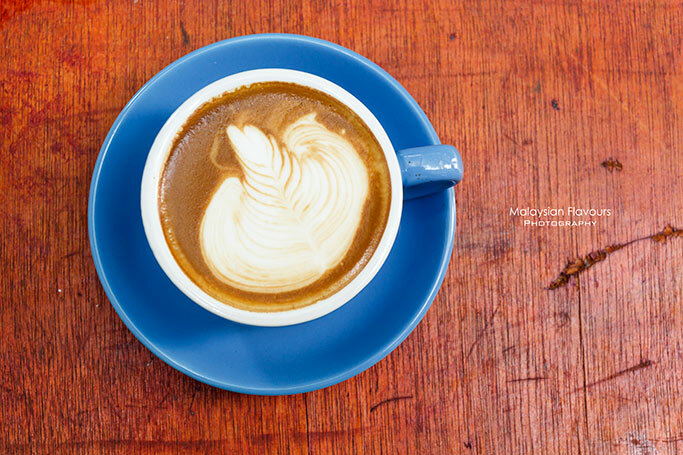 While for us, we had our cappuccino and flat white at only RM6 each in conjuction with Chinese New Year promotion. Thumbs up for Grind22. 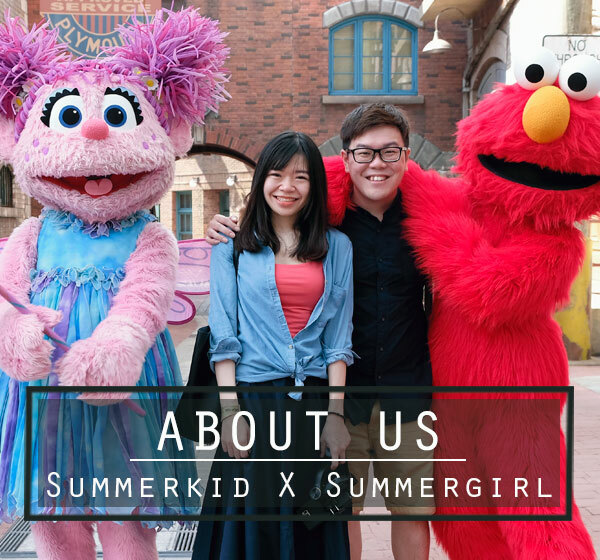 Remember to follow their Facebook and Instagram so that you don’t miss any of their upcoming promotions.